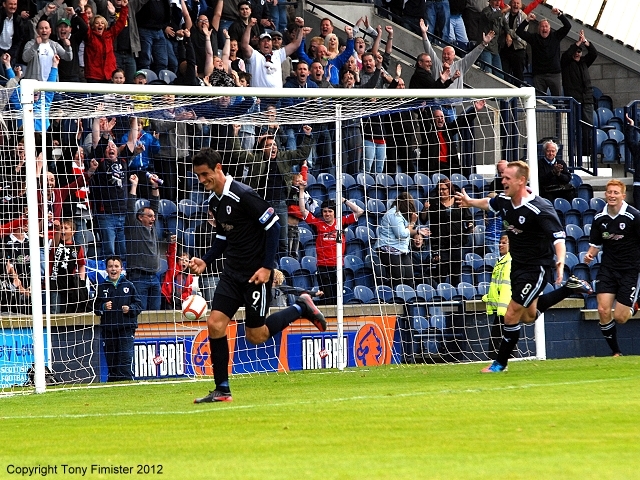 Two goals courtesy of striker Brian Graham gave Raith Rovers a winning start to their league campaign against Hamilton Accies at Stark’s Park this afternoon. 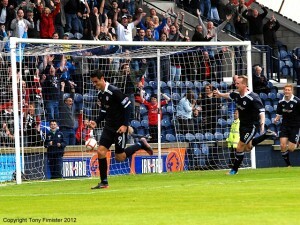 At kick-off, the atmosphere in the ground was tinged with the familiar anticipation generated by a season curtain-raiser, and Rovers would have been buoyed in the knowledge that they had taken maximum points from their home matches against Accies at Stark’s Park last season. That said, the opening exchanges were rather cautious and pedestrian, as the two sides sized each other up, seeking to gain a foothold on the match. 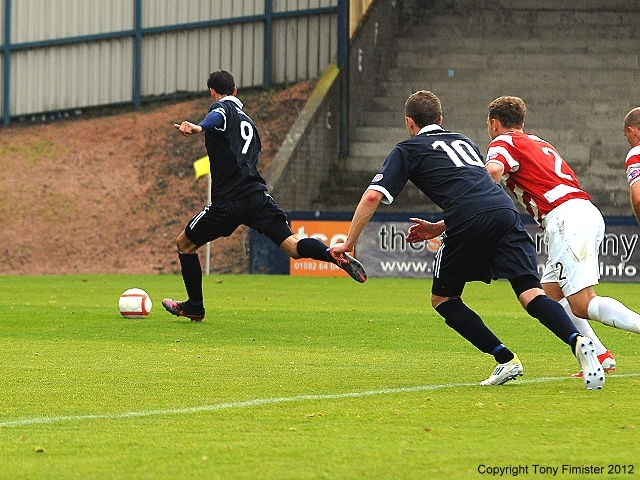 Goal-scoring opportunities were at a premium, although, with 15 minutes played, Grant Anderson went close against his former club when he went on a surging run down the right wing, carrying him deep into the Accies defence. 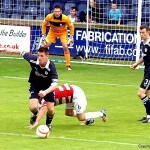 However, Keith Cuthbert blocked the midfielder’s shot. 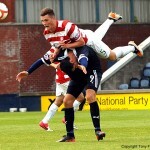 With half an hour on the clock, Rovers captain Allan Walker tried his luck from just outside the box, but his left-foot shot sailed harmlessly over the bar. 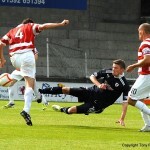 Accies responded immediately, and this time it was David McGurn’s turn to keep the scores level with a fine save. During the interval, fans of both teams would have hoped for more goalmouth action in the second period and, sure enough, the sides emerged clearly more intent on seeking the opening goal. 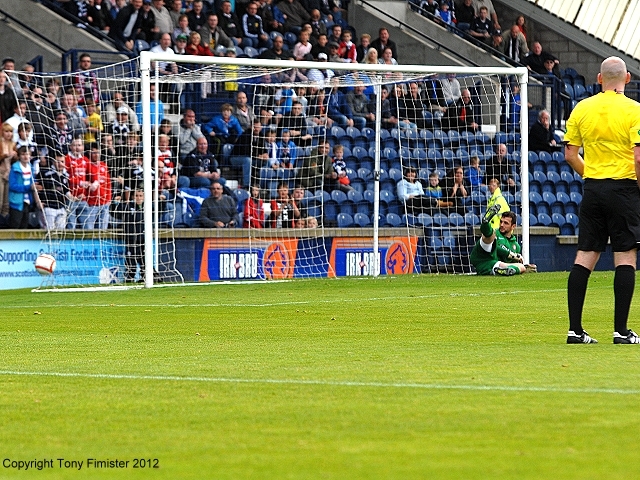 Allan Walker’s ambitious free-kick from fully 30 yards failed to test Cuthbert, before referee Bobby Madden incurred the wrath of the home support by initially awarding a free-kick to Rovers when Cuthbert appeared to pick up a pass-back inside the penalty area – however, the referee then changed his mind, and awarded a drop ball, much to the bemusement of Rovers’ fans and players alike! Rovers continued to up the ante, and a dangerous cross by Eddie Malone from wide on the left was cleared as Brian Graham lurked with intent at the far post. 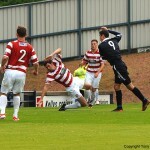 would not be denied, and his persistence paid off when, with an hour played, he chased down a loose ball inside the box only to be wrestled to the ground by an Accies defender Canning. It was a clear penalty, and Graham dusted himself down to send Cuthbert the wrong way with a low shot into the corner of the net. 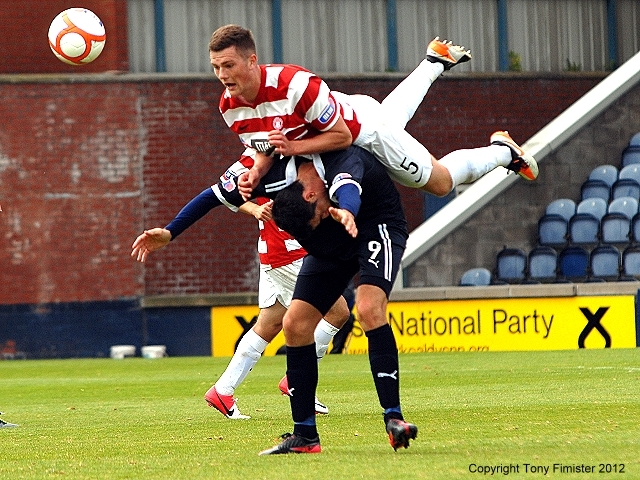 Accies immediately went on the offensive in a bid to restore parity, but it was Rovers who almost doubled their advantage after 65 minutes. 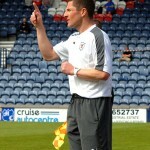 The ball appeared to be drifting out for a throw-in but rebounded back into play off the railway stand-side linesman. 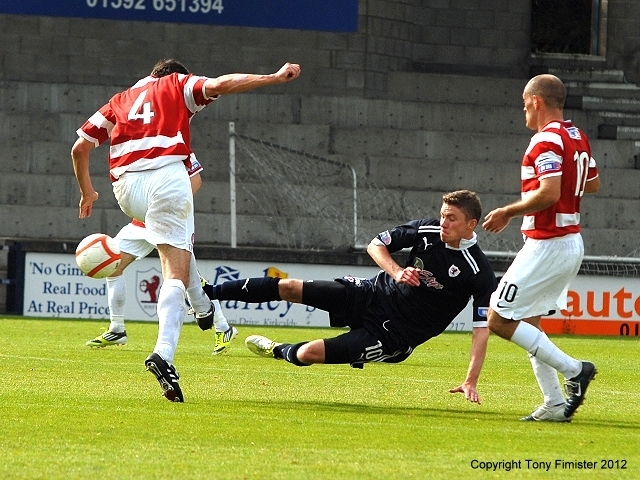 Grant Anderson took full advantage of the resultant hesitation in the Accies defence, and his deep cross reached Pat Clarke. However, the striker’s first-time shot flew and high and wide of the target. 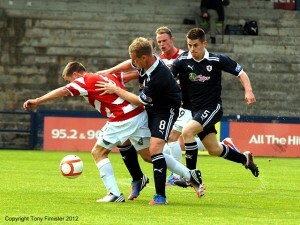 Accies then slowly began to apply pressure on the home side, pinning Rovers back in their own half for lengthy periods. 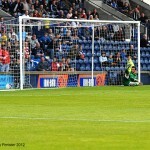 However, David McGurn dealt comfortably with the crosses that peppered his penalty area. 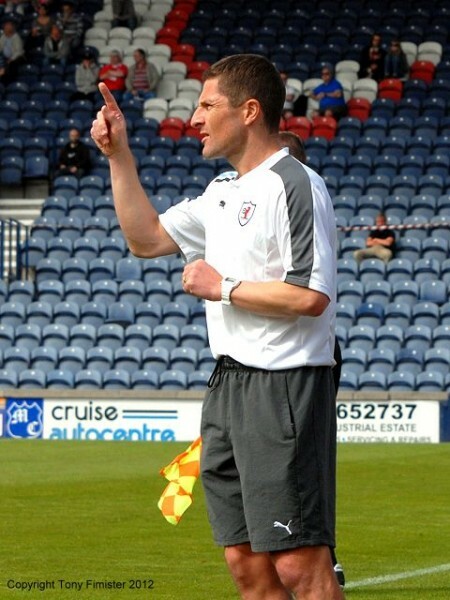 With ten minutes remaining, Rovers boss Grant Murray sought to shore up midfield with the introduction of Ross Callachan for Anderson, although it was Accies who continued to enjoy the lion’s share of possession as they searched for that elusive equaliser. 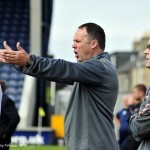 Rovers looked to catch Accies on the counter- attack, and right back Jason Thomson, who put in a hard-running shift for Rovers, made yet another surging run, hugging the right touchline as he evaded several challenges. 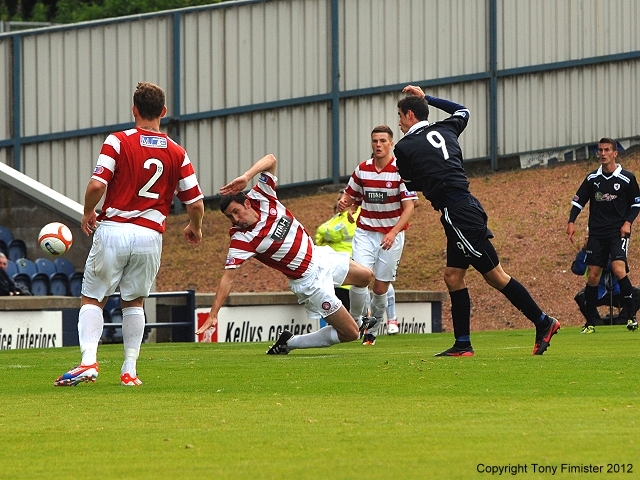 Thomson soon found himself inside the Accies penalty area, and his cut-back picked out the predatory Brian Graham, standing unmarked ten yards from goal. 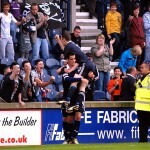 Despite slightly mis-hitting his shot, Graham found the corner of the net once more via the inside of the post, giving Rovers an unassailable two-goal cushion with only five minutes remaining. A minute later, man of the match Graham almost grabbed his hat-trick, although his deflected left-foot shot found the side netting with the keeper beaten. 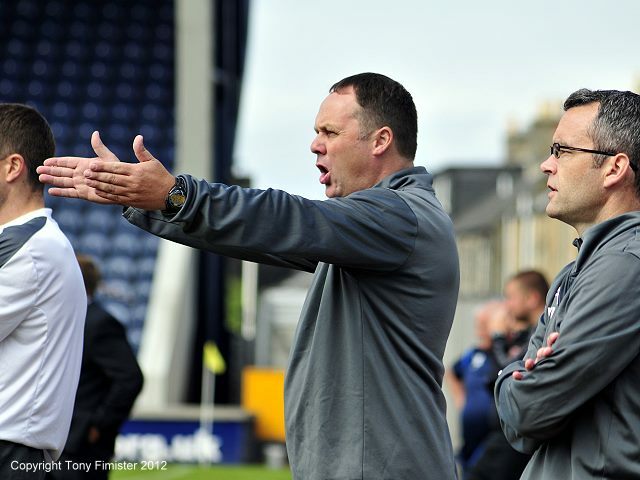 Rovers were then able to see out the rest of the game with relative ease, and earn the three points that saw their first league campaign under new manager Grant Murray get off to a winning start. In truth, the match itself was some way short of being a vintage performance from the home side. 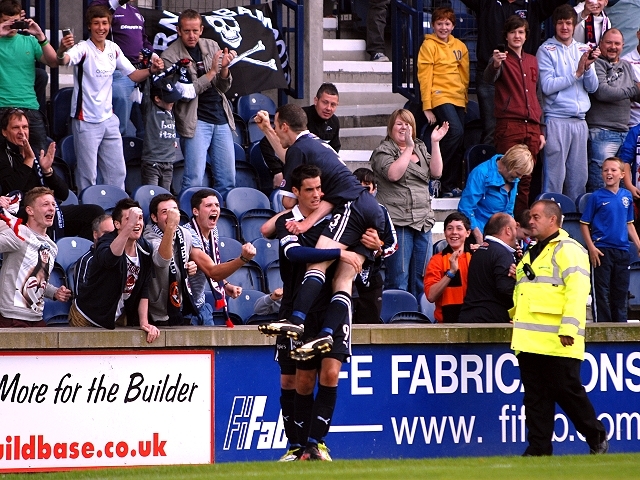 However, those of a Raith Rovers persuasion will be more than satisfied with three points which give the club a positive start to this, their fourth consecutive First Division league campaign. 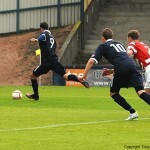 Greetings from Starks Park for today's game v Hamilton. Clear day - park looks immaculate. First 10 minutes: only one chance - Hills header wide. Midfield attrition re name of the game so far. 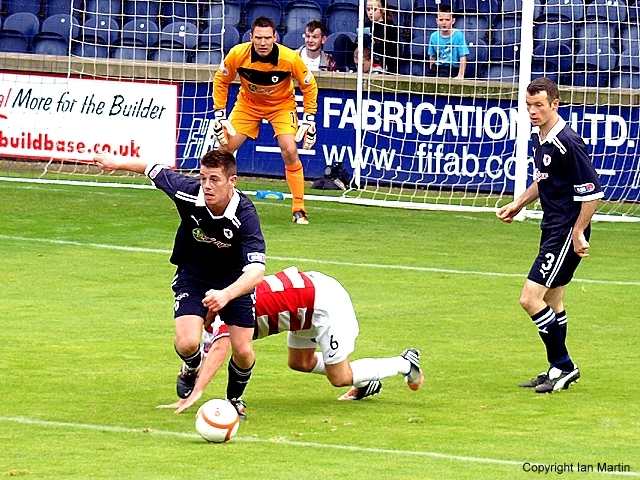 Strong hands from McGurn to deny Accies left back. 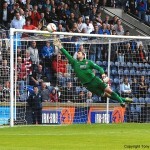 Great save. Clarke volleys well over at the back post after G Andersons deep cross. 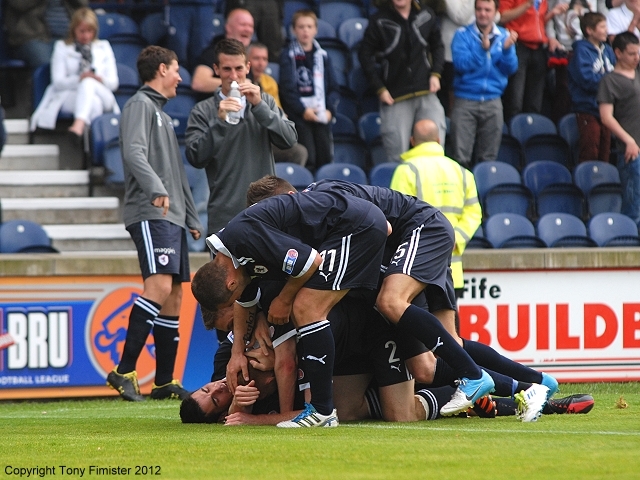 Raith: McGurn, Thomson, Malone, Ellis, Hill, S.Anderson, G.Anderson, Walker, Graham, Clarke, Hamill. 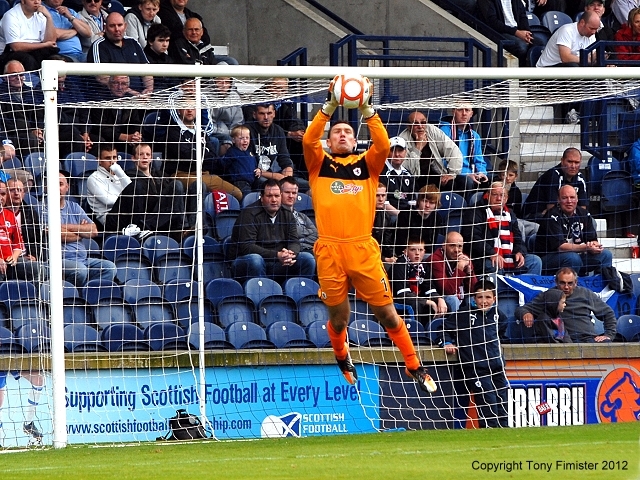 SUBS: Wilson, Spence, Callachan, Donaldson, Laidlaw (GK). 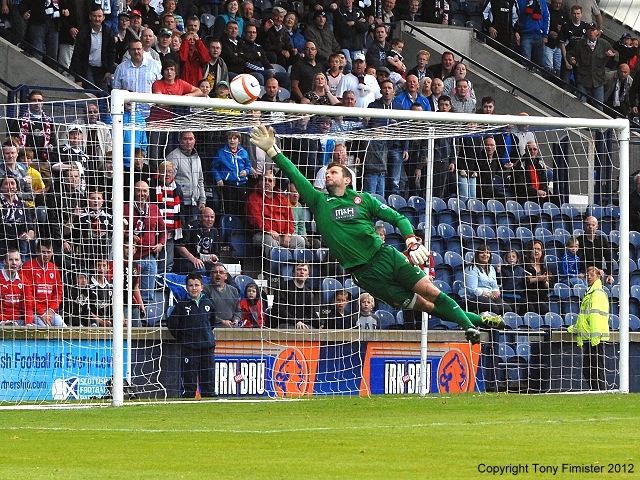 Hamilton: Cuthbert, McGlinchey, Hendrie, Canning, Devlin, Routledge, Gillespie, Fraser, McShane, Neil, Crawford. 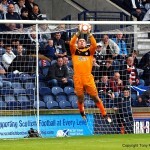 SUBS: Gordon, Kirkpatrick, MacKinnon, Ryan, Shaw (GK).